Hi there! I’m Paige- a full-time twin mom and toddler mom, part-time journalist, self-taught health nut and, yep, another one of those mom bloggers. What I love best about being a mom (besides kissing those baby toes) is how empowering it is. I had assumed motherhood would mean putting my goals on hold. It’s actually done quite the opposite while helping me learn how to accomplish a day’s worth in 30 minutes (because that was all the nap time mama got for awhile, kids!). A few such goals that motherhood has encouraged me to pursue? Creating Mama Steps, writing for a living so I could work from home, maintaining a refined-sugar-free lifestyle and even trying new things that used to intimidate the crap out of me (that would be you, Crossfit). 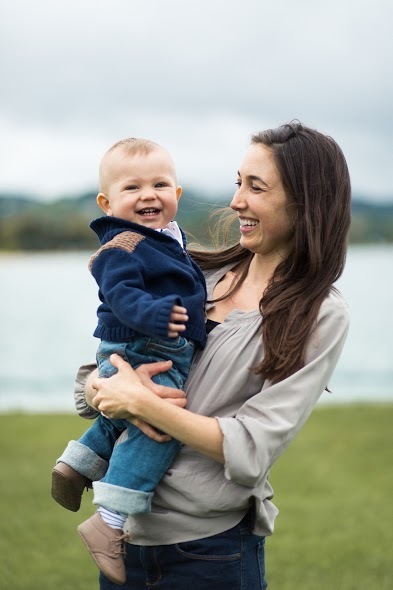 My sister, Blaire, is my best friend, mom to a 1-year-old and is an incredibly accomplished woman whose expertise is proving invaluable to myself along with other moms and future moms. Blaire is a naturopathic doctor (ND), acupuncturist (LAc), and registered dietitian nutritionist (RDN) and holds two Master’s degrees along with her doctorate. She is not a mama yet but hopes to be one very soon and has a special interest in fertility and other women’s health issues. We would especially like to thank our own mom, Miki, for setting the motherhood bar super high. We will never figure out how you made it look so effortless. We believe that every step—no matter how small—toward living healthier and more sustainable can make a lasting imprint on our kids and on the world. We believe in only recommending products and companies that are trustworthy and safe for you, your children and the planet. A few things you’ll never find here include GMOs, companies or products that utilize animal testing, pesticides or aren’t fair trade. You may notice that we promote Shaklee products from time to time. We were raised on these incredible products– from their biodegradable cleaners to their ultra-pure supplements– and are now distributors because we trust in them wholeheartedly after using them for 20-plus years. We believe that the joys of motherhood should outweigh the challenges. Every mom should have a hand to hold, a shoulder to cry on and a tribe to call her own, especially as she takes her first mama steps.